Quality medical lab equipment plays an important role in accurate and timely diagnostic testing for quicker medical decision.However, purchasing advanced instruments is expensive, especially for laboratories with budget constraints.Reagent rental programs offer the solution to this issue.A convenient reagent rental plan allows the lab to get the advanced equipment they need without having to pay for it upfront. This type of rental program is a Cost per Agreement (CPT) plan based on the minimum number of tests that need to be conducted per month.The capital costs for the equipment are included in the cost of the reagents and spread out over the period of the agreement. This type of rental plan that is tied to reagent supply is a great option for clinical labs in hospital laboratories, physician practices and blood banks.As the cost of the instrument is spread out over the agreement period, this arrangement allows labs the opportunity to get the quality equipment they need in exchange for assured reagent purchase during the stated period. 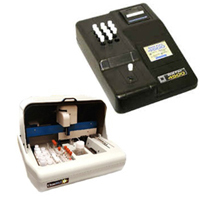 In these financially trying times, such reagent rental programs are feasible options for labs of all sizes.Convenient plans are available even for top brands of immunoassay and chemistry analyzers such as Beckman Coulter, DPC/Siemens, and Tosoh.To ensure a good deal, make sure you contract with an established and trustworthy lab equipment supplier.